Get motivated seller leads by developing these 12 sources and the deals will automatically come to you. These sellers are driven by physical, financial and psychological issues. And all are in immediate need of cash. To get their attention always give an all cash low ball offer first. Who needs leads? Beginning, Intermediate, & Experienced investors. You'll save time and buy properties faster. Beat your competition to the best deals. Have more time to concentrate on building your investment business. Search public records for free with online access to County Property Appraiser offices. Search for properties with delinquent taxes, lis pendens, judgments, liens, building code violations, and condemned properties. Check notices for bankruptcies, divorce, and trustees. Go straight for the gold and market for vacant properties with out of state owners and high equity. Use current information that is available online and automated systems to quickly find target properties. We like to use automated systems that do most of the work. The online system provides the owner's mailing address, property address and info on all the properties they own. It has list building features and there's direct mail template letters which can be sent with the push of a few buttons. Also included are video tutorials for screening the leads and building rapporte with the seller. Automatically generate leads with a website. It's like having a 24/7 field rep collecting contact information and answering questions. Get social and create a Facebook, Linkedin, Youtube, and Pinterest presence for your company. Put yourself out there. Submit your business listing with Google places and Yelp for your area. Look for sellers in the "Real Estate for Sale” section of the Classified Ads and on Craigslist. Cold call FSBO ads. Look for indicators like divorce, transferred, owner financing, motivated, downsizing, must sell. Also advertise in the smaller local papers. Take out a We Buy Houses ad. Door hangers are inexpensive and effective. We Buy Houses, Fast CASH, Sell Your House Now, all work well. As your real estate business grows you'll also receive motivated seller leads from word of mouth and repeat customers. Other local investors and wholesalers are easy to network with through meetings. It's here that we found a sweet deal on a small trailer park that a retiring investor wanted to liquidate. Landlords, Rental Agents and Property Managers. Cold call or send direct mail to anyone advertising properties for rent. Eviction Filings and Court are great places to find fed up landlords who want to get rid of their headache properties. And sometimes it's on these types of properties you'll be able to negotiate owner financing. Have your favorite Realtor send you expired listings, properties with price reductions, all junkers and REOs but REOs are only good when they're fresh or when they've been on the market over 90 days and are ready for a price cut. Probate and divorce attorneys. Insurance agents, fire, flood, and changes from owner occupied to rental or vacant property coverage. Credit Repair Counselors and Agencies. Local personal and car finance companies. Repo companies and bail bondsmen. Local builders often discount their model home after they've sold most of the subdivision. Plus their potential buyers sometimes have homes currently that they need to sell before they can move up to a new home. Large Companies and the military transfer their employees. 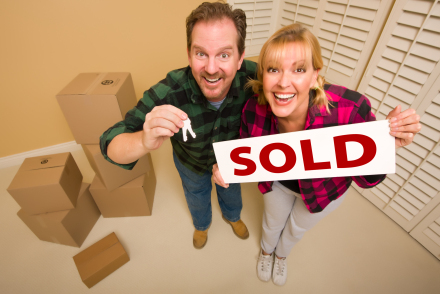 They actually create motivated seller leads for you and at the same time you'll have a supply of potential tenants for your rental properties. Many retirees own properties free and clear. They want to cash out for downsizing or medical reasons. And some offer owner financing to offset taxes. Charitable Groups receive gifts of real estate which they would prefer to liquidate into cash. A continuous flow of motivated seller leads are what fuels a real estate business. No matter which sources you choose to integrate into your business, we highly suggest that you choose several to keep the flow - flowing.